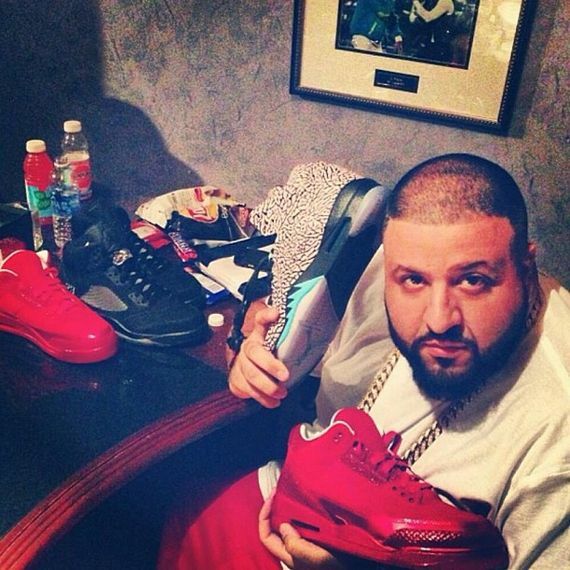 If he’s not bangin out beats in the studio, DJ Khaled is showing off his latest pick up that consists of a few new colorways we had no clue were in production. 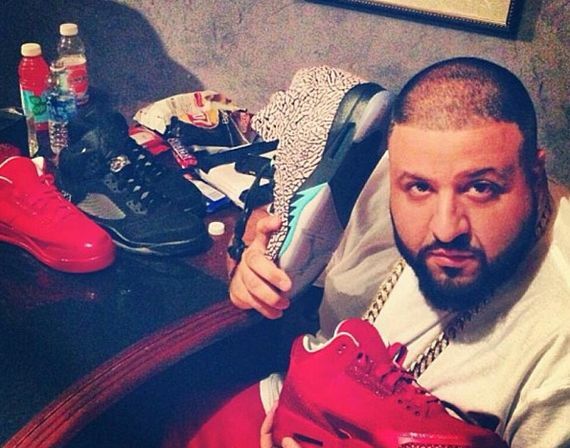 Aside from the 3Lab5 Air Jordan V, is a “Blackout” Retro V and the All Red Everything Air Jordan 3 that is rumored to release in October. Are you feeling these retro colorways? Let us know.